In an accident with a large truck, injury or even death is much more likely to happen to a motorist in a smaller vehicle, a motorcyclist, a bicyclist or a pedestrian. According to the Insurance Institute of Highway Safety, "In 2009, 3,163 people died in crashes involving large trucks. Fourteen percent of these deaths were truck occupants, 70 percent were passenger vehicle occupants, and 14 percent were pedestrians, bicyclists, or motorcyclists. In fatal two-vehicle crashes involving a passenger vehicle and a large truck, 98 percent of the deaths were the occupants in the passenger vehicles. Large trucks were involved in 9 percent of all motor vehicle crash deaths and 20 percent of passenger vehicle occupant deaths in multiple-vehicle crashes." Those sad statistics address fatalities, but the incidence of injuries to occupants of cars, motorcyclists, bicyclists and pedestrians from accidents with large trucks is much higher. If you’re recovering from injury or the loss of a loved one after a truck accident, you don’t want to worry about money, but the expenses began mounting the minute the accident occurred. Your medical bills could be astronomical. Maybe you’re unable to work, or to engage in the normal activities you used to do before the accident. You may be unable to take care of yourself. Perhaps your family has lost its primary wage earner. These things are not your fault, and your life shouldn’t be ruined by this one accident. At least financially, you may be able to get back some of what you’ve lost. If you or someone you love has been in an accident with a truck, your family may be entitled to monetary compensation to cover medical bills or funeral expenses, lost income, pain and suffering and other consequences of a truck accident. 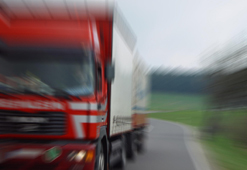 Litigation for truck accidents is complex, because there are many potentially responsible parties – the driver, the owner of the truck, the trucker’s employer, the manufacturer of the truck -- there are many variables to consider. Doug Standriff, Certified Civil Trial Attorney, has the expertise and experience to investigate and execute a complicated truck accident lawsuit so that you get the maximum compensation you deserve under the law. Mr. Standriff will compassionately address all of your concerns. A short interview will determine whether you have a case with which Mr. Standriff can help. You won’t pay a dime until your case is won.